Your car's tires are one (actually four) of the most important safety features your vehicle has and are unfortunately among the least understood aspects of automotive maintenance. Most car owners know little about their tires, beyond the size and how much tread they have left. There is a lot of important information stamped onto the side of your tires, though, and it's worth knowing what it all means. It's also helpful to understand why certain tires are good or bad for your vehicle, and when you should replace them. At Mike Smith Collision Center, we want you to be as safe on the road as humanly possible, so here we’re deciphering the numbers and codes that exist on literally every car tire in existence. The age of your tire is the first thing you should know. If you're buying a pre-owned vehicle or used tires, or have had a vehicle for some time without purchasing new tires, you can quickly find the age of the tire by looking on the sidewall for a stamped oval with "DOT (Department of Transportation)," followed by several letters and numbers that explain the tire's place of manufacture and branding, usually as "U2LL LMLR," "CC9L YYY" or something similar. After those codes, often attached to the second set of letters, will be a set of four numbers that denote a week and year. For example, a tire that says "4915" will have been manufactured in the 49th week of 2015. This stamp is federally required, so it will be on all tires being sold legally in the United States. Buying used tires is a tricky situation and if you do decide to buy a tire that is more than a year old, you should always try to negotiate for a cheaper price. If it is more than three or four years old, you should be wary, as it may be hardening and have less grip and a higher chance of blowout. Tires older than four or five years should be avoided or replaced immediately for obvious reasons. Be aware that the federal government also mandates that your car must be provided on a sticker inside the driver-side front door, either on the door itself or on the pillar, usually near the latch. A sticker marked for the tires will indicate manufacturer-specified tire sizes, tire pressure recommendations, and tire load rating and speed requirements. Tires come in a myriad of sizes, which also have numerical codes. For most cars, only three numbers matter: Size of the wheel onto which the tire fits (measured in inches); height and width of the tire and load capacity. Tires labeled "205/55R16" are 205 mm wide and 55 percent of the width in height, and fit a 16-inch wheel. The "R" stands for radial tires. Other tire sizes are given in inches as spaced numbers: "35x1250 R 17" means the tire is 35 inches wide and 12.5 inches in height, and made of radial construction while fitting a 17-inch wheel. Most tire sizes of this type also include a load carrying capacity designated by a letter to indicate the number of radials (i.e., "plies") in the tire for support. A tire marked "C" has a six-ply rating, "D" has an eight-ply rating, and the "E" series has a rating of 10 plies. Note that the ply count is not the actual number of plies contained in the tire; it is a rating for load capacity. A tire's load rating also can be indicated by a "load index," a two- or three-digit numeral, starting with 71 (761 pounds) and spanning up to 110 (2,337 pounds). The load index must be equal to or greater than that required by your car. It usually comes after the wheel size and before speed rating, which is indicated by a letter. Speed ratings run from L to Y. Recommended maximum speed for L tires is 75 miles per hour; for M, 81 mph; N, 87 mph, and so forth. Most standard vehicles have speed ratings between Q (99 mph) and V (149 mph), and a special rating of "(Y)" is given for tires rated for speeds higher than 186 mph.  A tire's speed rating indicates both its top speed potential and its handling characteristics at higher speeds. The higher the rating, the more the tire will flex and grip at high speeds and in hard maneuvering at speed. Hopefully this blog has helped you to know exactly what the numbers and codes on your tires mean, so that you can be a little safer and a smarter consumer when it comes to your car’s tires, brought to you by all of us at Mike Smith Collision Center.